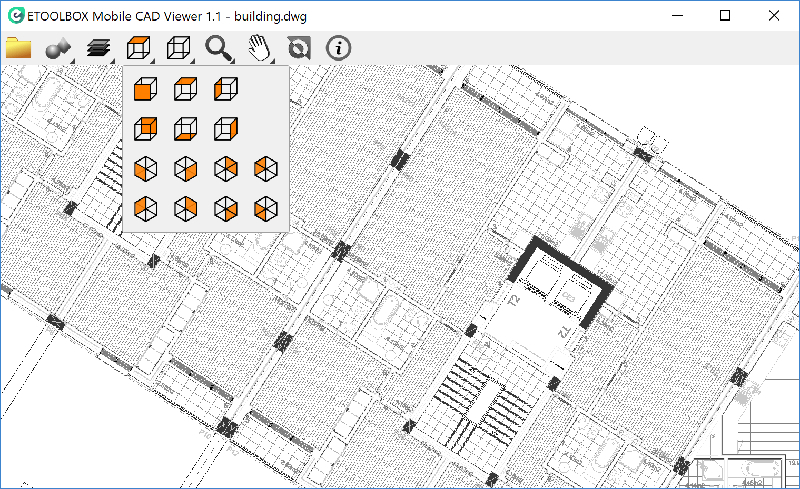 TOOLBOX MOBILE CAD Viewer is a mobile CAD application (*.dwg) viewer of the CMS IntelliCAD CAD Software or any CAD software able to create *.dwg, *.dxf and *.dwf files. It's available for Android devices and Microsoft Windows systems. Download ETOOLBOX Mobile CAD Viewer for Android devices and Windows Desktops. Perpetual 1 User license running 2 Systems. Flexible self-service license transfer. No limits on transfers.